Sukhumvit Road covers some of the most diverse areas in Bangkok. It is not only one of the longest boulevards in Thailand, but also one of the longest in the world. 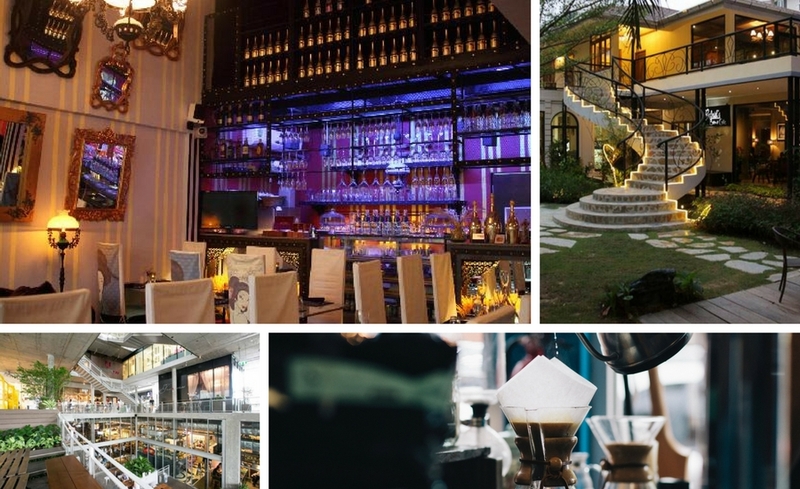 The Sukhumvit Thonglor neighborhood proper is the hippest area of Bangkok. It is home to some of the city's best restaurants, modern apartments, and myriad bars and clubs. This district is especially popular among visitors and expats. Despite all these fine distractions, the Sukhumvit district borders on Khlong Toei, one of the humblest neighborhoods in Bangkok. Staying at Akyra Thonglor Bangkok, you have no trouble amusing yourself with your stay in Sukhumvit. Discover everything you need to know about some of Bangkok's favorite spots that lie off the beaten path. Before we get there, however, we'll give you some brief history on the area and the general layout of the district. While Sukhumvit today is a bustling hub of activity, it wasn't so long ago that the area was filled with rice paddies. After World War II, as ex-soldiers and foreigners flooded southeast Asia, the city established accommodation, bars, and restaurants for this influx of visitors. It was one of the fastest growing areas of Bangkok for several years. Property prices were driven higher and higher, and today, it is one of the best districts in town. In the Sukhumvit area, Sukhumvit road is broken up by the small side streets that lead off of it. These are known as Sois. They are numbered from east to west, and the odd numbers line the north side, with even numbers on the south. Keep in mind that they do not progress evenly. Soi 42 is several blocks down the street from Soi 43. Thonglor is a Soi on the north side of Sukhumvit. 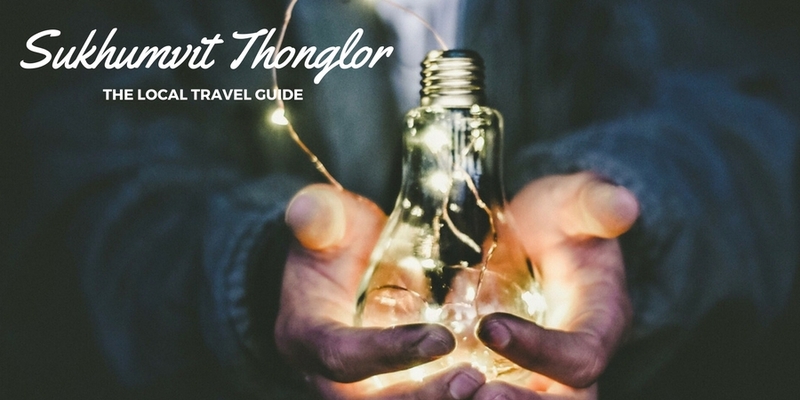 Roughly translated, thonglor means 'molten gold,' and the street is named for a reason: it is Bangkok's hippest street, filled with chic restaurants, quirky shops, and the best bars in the city. All along the street, you will find hundreds of shops and street vendors selling travelling goods, jewelry, and whatever else you can think of. When the sun goes down, these vendors turn into food trucks and street bars. You can find any kind of dining you can imagine along Sukhumvit road, from five-stars to street food. In terms of expats living and doing business along Sukhumvit, different nationalities have gathered in different areas. You can find Japanese anywhere upwards from Soi 21, but most gather around Soi 55. Indians have flocked to Soi 12, and people of the Middle East have gone to Soi 3/1, which is generally known as Soi Arab. If you head directly south from Sukhumvit road, you will enter into the Khlong Toei neighborhood. Here, you will find the Khlong Toei Market, a market seldom visited by visitors. Now that you have a feel for the general area, we'll give you a few ideas about restaurants and bars and markets that locals love to frequent. The Commons is not one restaurant, but a huge network of cafes, eateries, and unique shops located in one vast complex. It is divided into four sections: the top yard, the play yard, the village, and the market. Within the market, you'll be able to find all sorts of specialty food and drinks. Many shops specialize in singular goods and their derivatives. Egg My God, for example specializes in eggs, of course, and dairy. Summerbees sells icecream, and The Beer Cap has a huge variety of beer. The village features several shops scattered amongst an indoor garden. Here, you'll be able to find plants, jewelry, a specialty music boutique, waffles, and an intricate desert bar. The play yard is for people of all ages. It offers an educational toy store and a fitness shop. On the top yard, you'll be able to relax in a lush green space with a coffee. Saunter up here for a break from the hectic chaos of the city and read the news in peace. This amazing restaurant was started by New York fashion designer Chompol Serimont. Whether you're after lunch, dinner, coffee, or drinks, Moulin offers the best of New York service and quality food at an amazing value. "I created my restaurant because I felt that there aren't enough amazing restaurants in Bangkok," Serimont says. "Many restauraunts cut corners—especially when it comes to sauces—and will leave ingredients out of a dish if it makes them cheaper to make. I wanted to create a restaurant which always puts quality first." Stop by Moulin, and you'll see what Serimont means. Even though it's modeled after New York, the restaurant has become a true favorite on Soi Thonglor. Like the name suggests, Pad Thai Ekkamai offers some of the best of Thai food. It's casual, great food. You can walk in, take out, or order delivery. This restaurant is known for perhaps the most epic pad thai dish in all of Bangkok. It's pad thai, squid, shrimp, mussels, two river prawn and cavier for 250 baht. If you're looking for something more basic, their classic version of the dish is just 80 baht. This place is the real deal, and their menu is only in Thai, so you might have to get help from a local or get creative to put your point across. The Dinsor Palace, or "Wang Dinsor" is a double story colonial style structure that dates back to 1930. The lands were originally bestowed upon Her Royal Highness Princess Ramphai Prapa by His Majesty King Chulalongkorn in 1904. Much of the original spirit of the estate and grounds have been preserved as a beautiful setting for lunch or dinner. With the lush gardens that surround the area, you will be able to escape from the hustle and bustle of the city. Rabbits and peacocks walk freely amongst the grounds and swans swim in the ponds. For seating, you will be able to choose between four different zones: indoor dining, the bakery and café, private rooms, and the gardens of Eden. Chef Autumn McTaggarts holds sway in regard to The Gardens' cuisine. She has fifteen years' experience and combines the best of local dishes and flavors with a healthy serving of French influence. 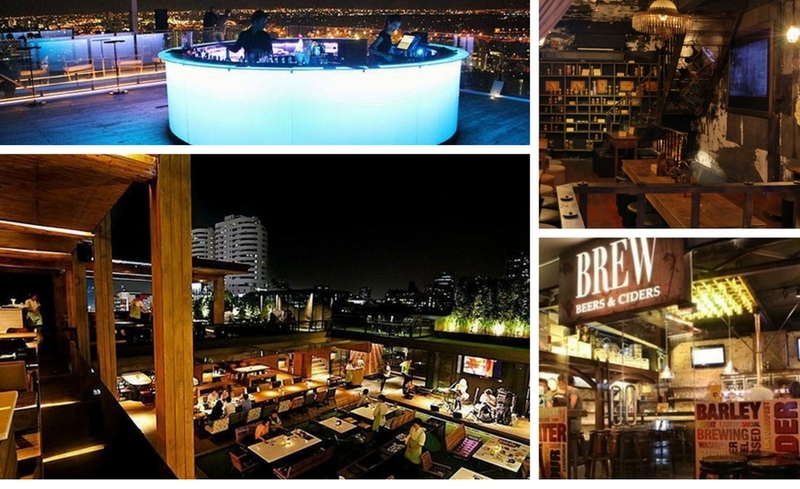 Brew is one of the most popular bars on Soi Thonglor. They claim to offer the largest variety in all of Thailand. Over 100 labels are available in bottle and ten on tap. There's nothing complicated about this bar. Brew "aims to educate people about good beer so they can have a place to go and enjoy crafted beers..."
If beer isn't your thing or part of your diet, they also offer a huge selection of cider. On the wall, you will find a massive chart comparing all beers and ciders offered, displaying their type of brew, ingredients, alcohol levels, and more. Inside, you will find an industrial style of décor. It seeks to replicate the backroom of a brewery, with exposed piping and a large copper draft tower. "I opened Brew around three years ago, just when Bagkokians were starting to get a taste for imported beers," says Chris Foo, owner and operator of Brew, "Now, it's not uncommon to see tables at Brew full of young Thai women, each tucking into a nine percent beer." For food, you will be able to order cheese platters, charcuterie, assorted nuts and other stock bar favorites. Like we said, Brew is great for its simplicity. If you love beer or cider, Brew will not let you down. Happy hour is every day before 19:00. Nestled atop the Muse nightclub, you'll find a large open air bar that spans two separate levels. Lounge downstairs and get something good to eat while mingling with the other diners and drinkers. Up top, you can enjoy a beer, glass of wine, or a cocktail while watching the crowds on the street below. For food, you may just have trouble deciding. The menu is huge and includes the best of Thai, western, and Asian fusion dishes. The Kung Wasabi, for example, is a plate of deep fried shrimp in sweet sauce with wasabi, an interesting concoction of Thai and Japanese cuisine. What better way to see the city than 45+ stories above the street with a cocktail in hand? The Octave Bar is located above the Marriott Hotel and has several zones that range between bar area, dance floor, lounge, and private rooms. The bar has multiple levels, and at the top, you have a 360 degree view of Bangkok. This rooftop bar has a selection of 'new-age fusion food' like tapas with an Asian twist and sea food platters for some light nibbling. At the bar, you will find just about any kind of wine or cocktail you could imagine. The Octave Bar is one of the top spots to party in the Thonglor neighborhood. Resident DJ's play every night. You can dance or just hang out and take in the vibes and views. This is one of the most fantastic bars on Soi Thonglor. Created by Aussie expat Ashley Sutton, its interior resembles a magical blacksmith's shop: wrought iron staircases connect two separate levels, old timber and brick crisscross the walls and ceiling and exposed pipes are everywhere. The shop is filled with tiny details such as bottles of fairy dust or tiny iron fairies themselves. Iron Fairies is known for its creative signature cocktails. You will also find a good variety of Thai, Japanese, Mexican, and Dutch beer. For food, Iron Fairies is limited, but notorious for its principle item: burgers. They are hefty, come in beef or fish, and will keep you going all night. This is the kind of bar in which you can get lost. Intricate passages, rooms, and secret doors intersect throughout the bar. Mingle with the others who brave this labyrinth or retreat into a private alcove for some alone time. You'll be able to hear live jazz most nights starting at 21:00.